Thaw chicken and place in crock pot on low. Mix in barbecue sauce, and cook until warm. 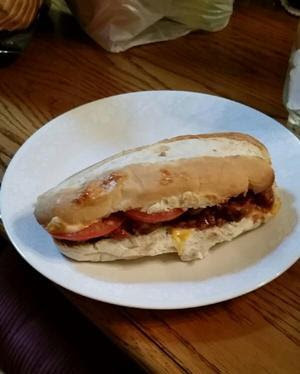 Place cheese, bacon, bbq chicken, and tomatoes on hoagie bun.